In September 2014, the World Meteorological Organization (WMO) released its annual assessment of greenhouse gases in Earth’s atmosphere, noting that levels had reached a record high. According to the WMO, the concentration of carbon dioxide in the atmosphere in 2013 was 142 percent of what it was in 1750, before the Industrial Revolution. 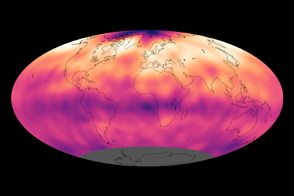 The global, averaged level of carbon dioxide in 2013 was 396 parts per million (ppm), according to the WMO. At several points in 2013 and 2014, the concentration has temporarily risen above 400 ppm; it is expected to stay above that level by 2015 or 2016. Atmospheric CO2 increased more (2.9 ppm) between 2012 and 2013 than in any year since 1984. Measurements of greenhouse gases have traditionally been made with a combination of sensors on the ground, on aircraft, and on ships. Those measurements are state of the art, but they are snapshots from a handful of distinct points, with little coverage over the oceans and uneven records. In order to capture a global and consistent measure of carbon dioxide, NASA launched the Orbiting Carbon Observatory 2 (OCO-2) in July 2014. OCO-2 is NASA’s first spacecraft dedicated to studying the manmade and natural sources of carbon dioxide, as well as the natural “sinks”—the places on the surface where carbon dioxide is removed from the atmosphere. OCO-2 was designed to study how these sources and sinks are distributed and how they change over time. The satellite uses high-resolution spectrometers that measure the intensity of sunlight (at different wavelengths) after it has passed down through the atmosphere, reflected off the surface, and passed back up through the atmosphere. 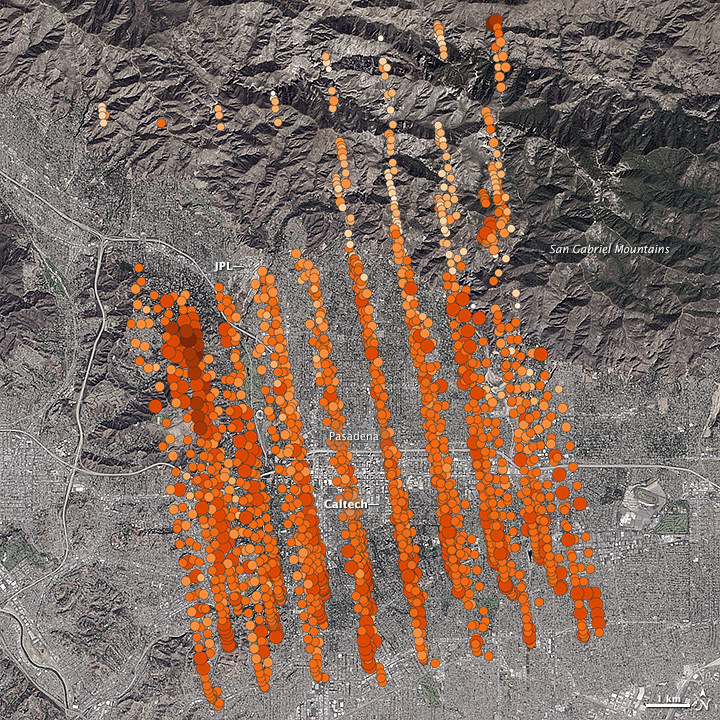 The map above shows OCO-2 measurements of carbon dioxide in the atmosphere over Pasadena, California, on September 5, 2014. Each dot represents a single measurement, with the size and color of each dot representing the abundance of the gas (larger dots and darker colors represent higher levels). 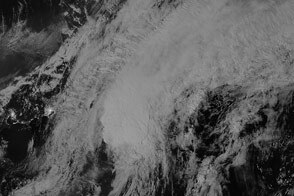 The data were collected as part of satellite calibration and validation activities. In these preliminary measurements, OCO-2 recorded a CO2 level of 402 parts million over the heart of Pasadena (402 molecules of CO2 in every million molecules of air). On the ground, a Total Carbon Column Observing Network (TCCON) station at the California Institute of Technology, measured 399 parts per million on the same day. TCCON looks upward through the entire column of air, while OCO-2 looks down through it. “The close agreement between the ground-based TCCON and space-based OCO-2 estimates is extremely encouraging at this early stage of analysis,” said Annmarie Eldering, the OCO-2 deputy project scientist, based at the Jet Propulsion Laboratory. As of early November 2014, the science team was nearly finished with calibration and was expecting to begin releasing global data sets in early 2015. Eldering noted that the most extreme variations in carbon dioxide concentrations (such as on the left side) in the September 5 map could be measurement errors resulting from the extremely steep terrain in the region. OCO-2 requires very precise measurements of the distance between the ground and the spacecraft to produce the most accurate estimates of carbon dioxide. However, Eldering could not rule out the possibility that the anomalies were real and had a physical cause, such as auto emissions pooling in a canyon or some other form of local emissions. “Understanding the massive new measurement set of OCO-2 provides many interesting scientific puzzles like this,” she said. 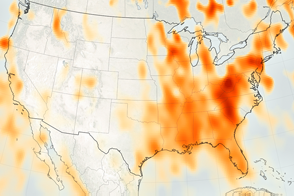 NASA Earth Observatory image by Jesse Allen, using data from the OCO-2 science team at NASA-JPL and Caltech. 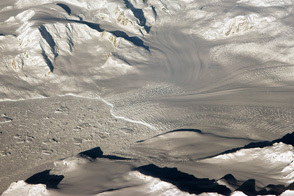 Background image from Landsat 8. Caption by Michael Carlowicz. NASA’s new Orbiting Carbon Observatory-2 calibrated its sensors by taking data from an area where ground stations could provide ground truth. California Institute of Technology (2014, August 21) Checking the First Data from OCO-2. Accessed November 6, 2014. 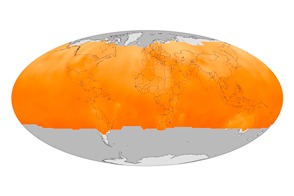 NASA Earth Observatory (2014, August 12) NASA’s New Carbon Counter Collects Its First Data. 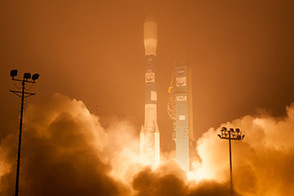 NASA Earth Observatory (2014, July 3) OCO-2 Lifts Off. NASA Jet Propulsion Laboratory (2014) Orbiting Carbon Observatory. Accessed November 6, 2014. World Meteorological Organization (2014, September) Greenhouse Gas Bulletin. Accessed November 6, 2014.